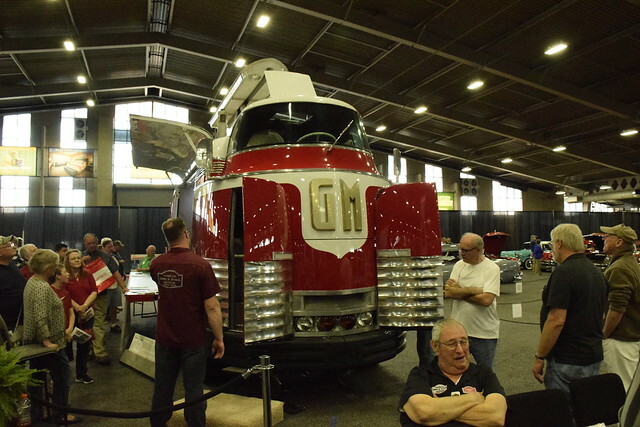 The Futurliner was the hit of the car show. The open door to the left leads up stairs to the driver’s seat. There are two passenger seats behind the driver. The open door to the left leads to the engine compartment. Another view. Up top you can see the built in floodlights to illuminate the stage. The show was very popular but was halted during World War II and then started up again after the war and ended in 1955. A victim of a technology called television. These things are huge, 11’6″ tall and 30 feet long and a wheelbase of 8 feet. They weigh 30,000 pounds. They were powered originally by a four cylinder engine and then later a six cylinder that had only 145 hp. The top speed was 50 mph. 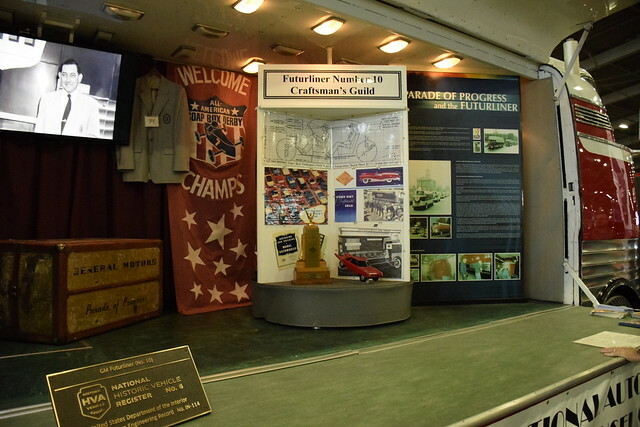 Number 10 is owned by the National Auto and Truck Museum in Auburn, Indiana. A representative of the museum said that it can be driven around town but for moves from town to town they load it up on a trailer. Here is the stage on the right hand side. The design of the vehicle is beautiful, streamline art deco with shiny panels and bright red and a white top. I love the tires. Big old fat white walls. The hub cap had an atomic symbol on it. 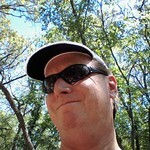 It sure recalls a bygone age of unbridled optimism in the future. The vehicle is Art Deco on Steroids and is just so beautiful. 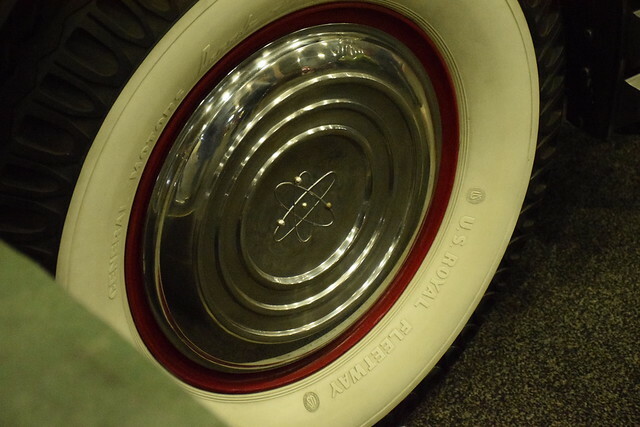 Big fat white walls and the cool hubcap with the atomic symbol on it. The Futurliners have a Tulsa connection. Oral Roberts, Tulsa’s own prosperity gospel preacher bought one and renamed it the “Cathedral Cruiser” and used it to barnstorm the United States, Mexico and South America. Sitting in the driver’s seat. I don’t think it had power steering. 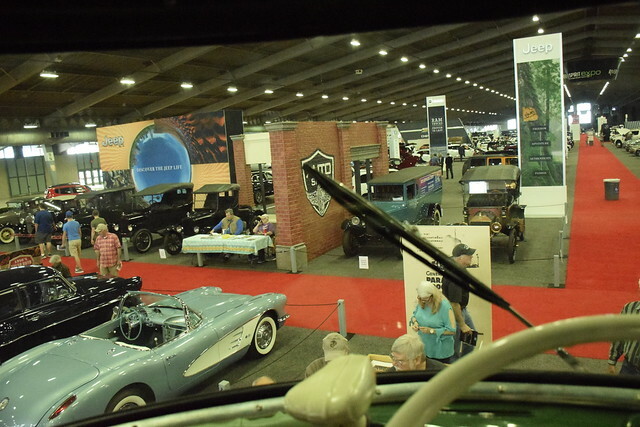 Of the twelve original Futurliners only about eight or nine still exist and of those only a few have been restored like this one. What a view from the driver’s seat. I think it would be scary as heck to drive. You would never be wondering what it is happening up ahead. I had never heard of Futurliners until I saw something posted online about this one parked downtown Thursday afternoon. I could have kicked myself because it was parked right across the street from where I work and I didn’t see it. 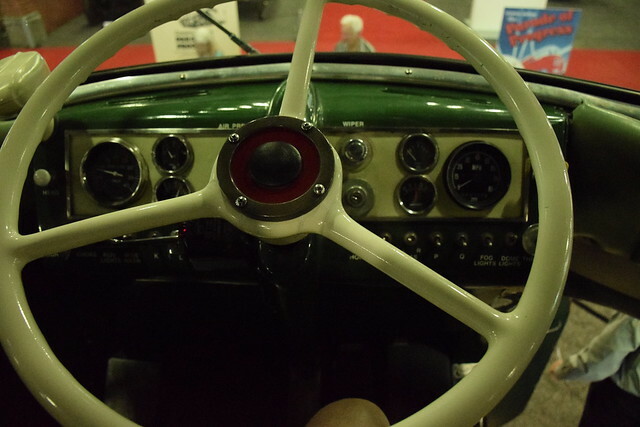 I got a good look today at the car show and even got to sit in the drivers seat for a minute or so. 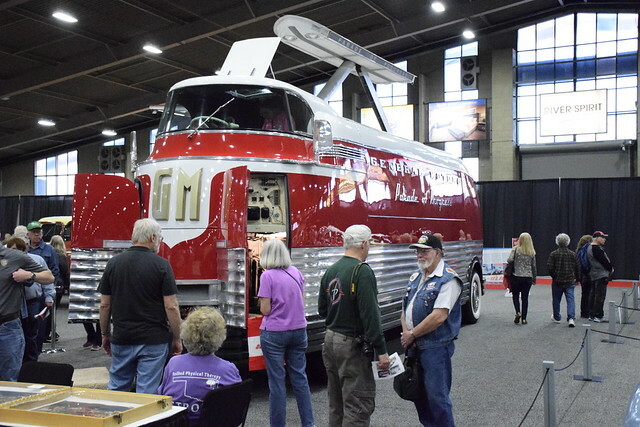 This entry was posted in Cars and tagged Art Deco, Car Shows, Cars, Futurliner, Oral Roberts, Streamline, Vehicles on April 14, 2018 by Alan Bates.